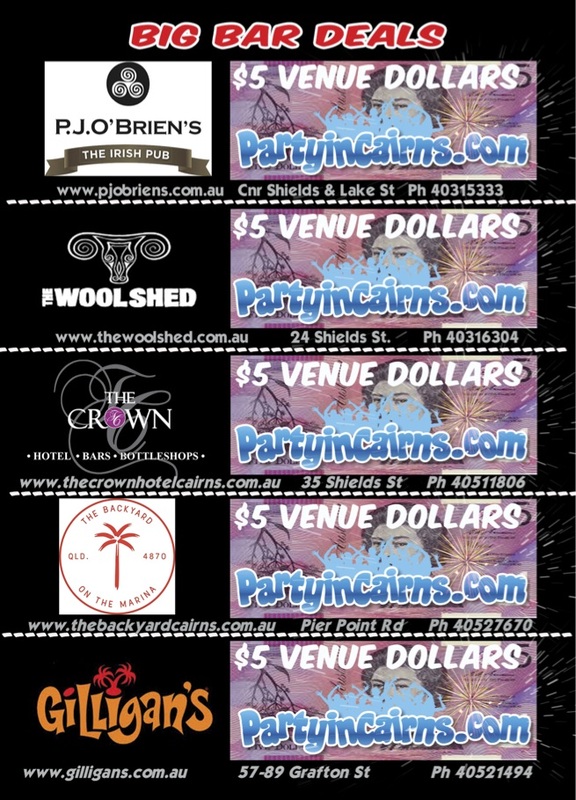 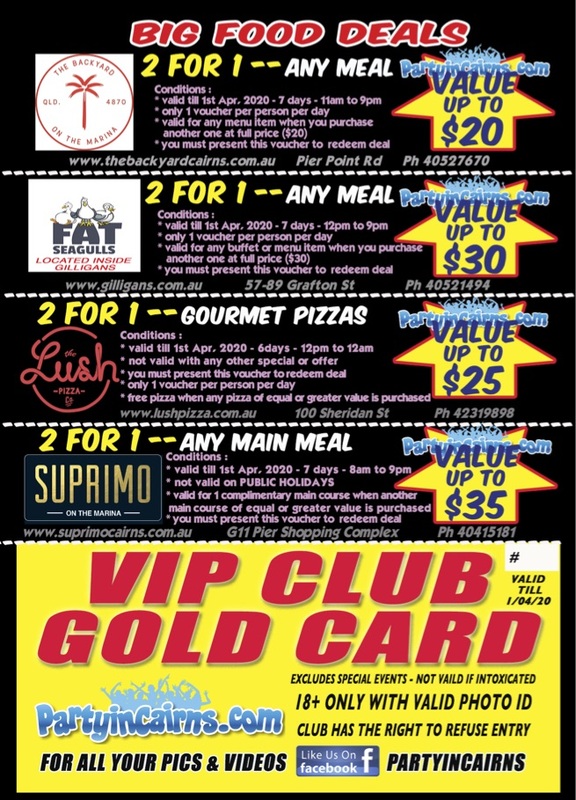 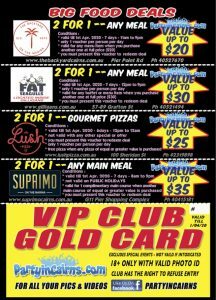 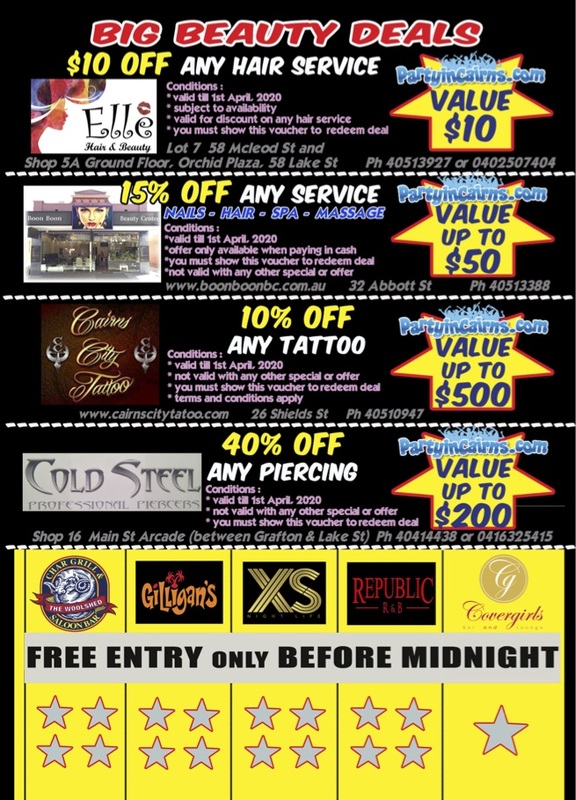 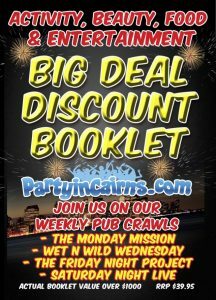 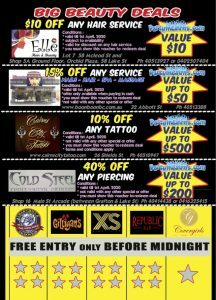 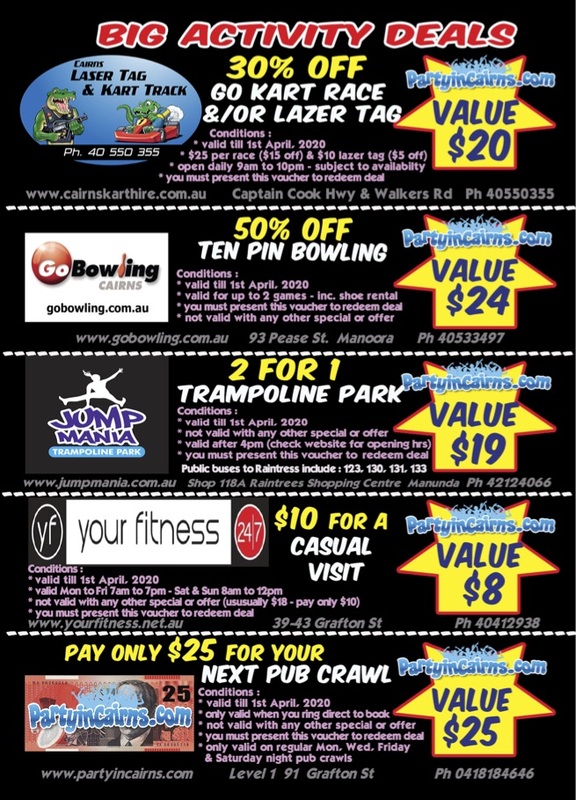 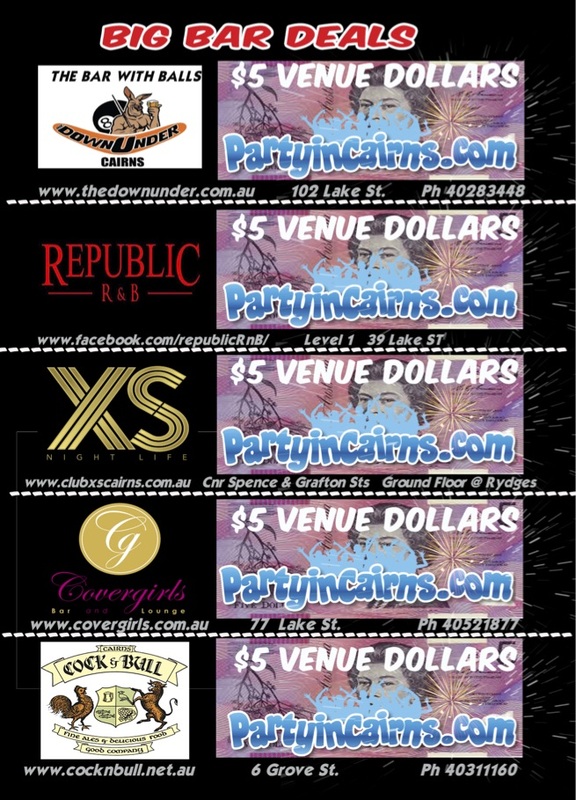 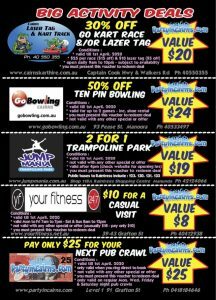 Firstly thanks for choosing to party with us on Partyincairns.com – Pub Crawl / Fitzroy Island Party / Special Event – we greatly appreciate your business. 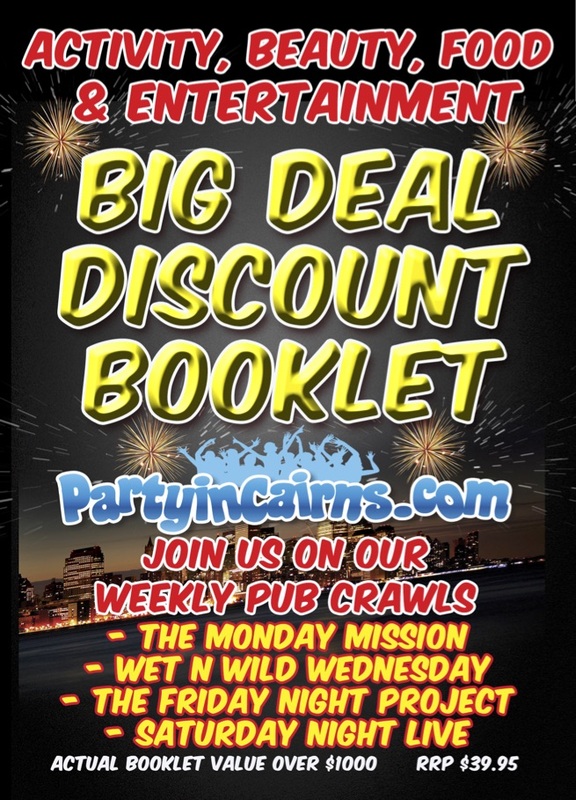 The Big Deal Discount Booklet is now included on all our parties and has now made our parties even more amazing value. 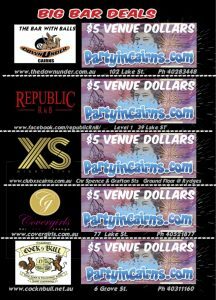 IF YOU HAVE PREPAID FOR A TICKET ONLINE YOU ARE WELCOME TO COME AND GRAB THE BOOKLET ANYTIME BEFORE THE PARTY.